String beans are abundant in my neighbor Beppi’s garden this time of year, particularly a variety of long bean that he grows, which produces beans as long as 18″. 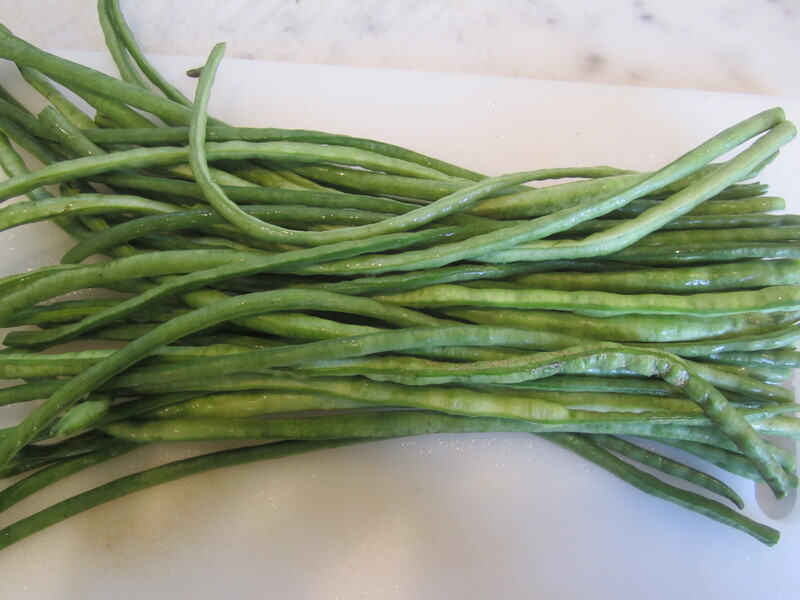 I love these long beans because they’re thin and delicate (almost like baby green beans) but they’re easy to clean and trim, (fewer tops and bottoms to trim and remove–just slice the whole bunch into manageable lengths). 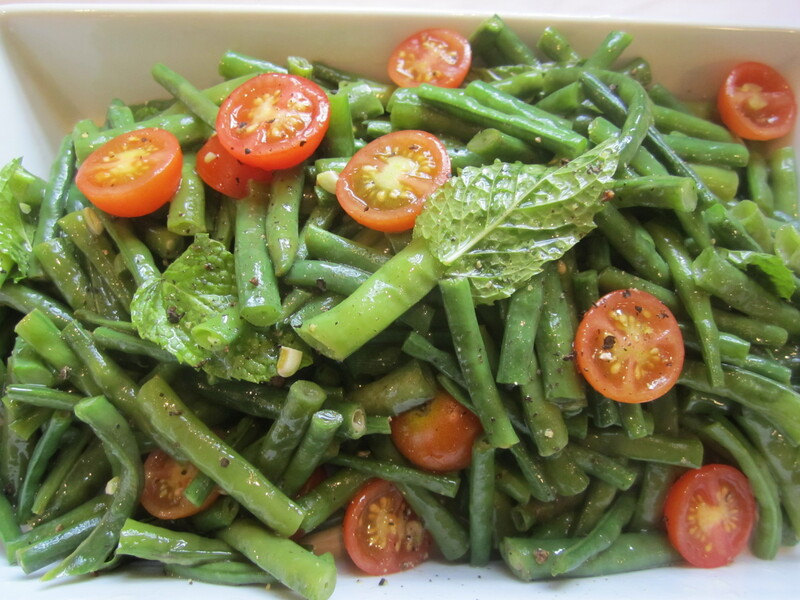 One way to dress these beans is the way my mother always did–with olive oil, red wine vinegar and mint. The beans are simply boiled until crisp-tender, then dressed while they’re still warm. 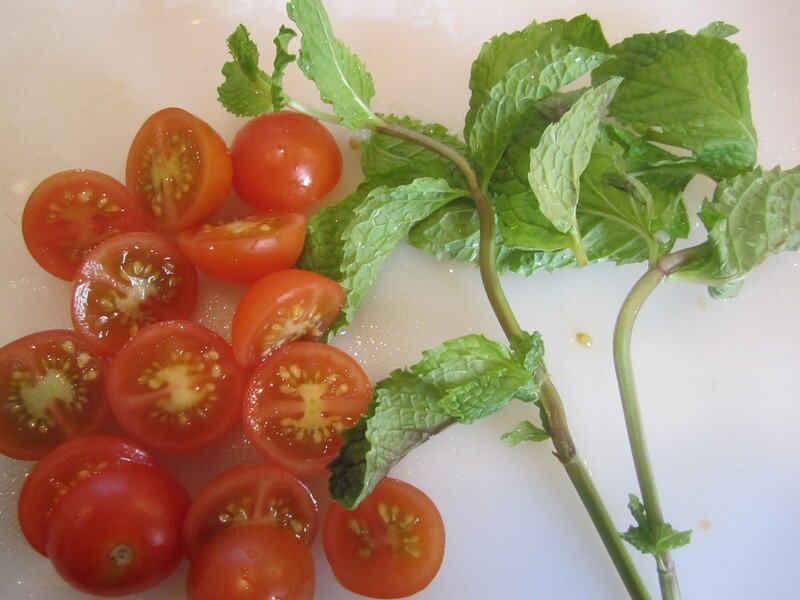 I’ve added ripe cherry tomatoes because they give the salad a little sweetness and contrast in texture. They also hold up well in the dressing. These beans taste great the day after they’re made, but they do discolor due to the red wine vinegar and mint. This is a great dish to bring to a cookout because it holds well at room temperature or even in the heat of a summer afternoon. 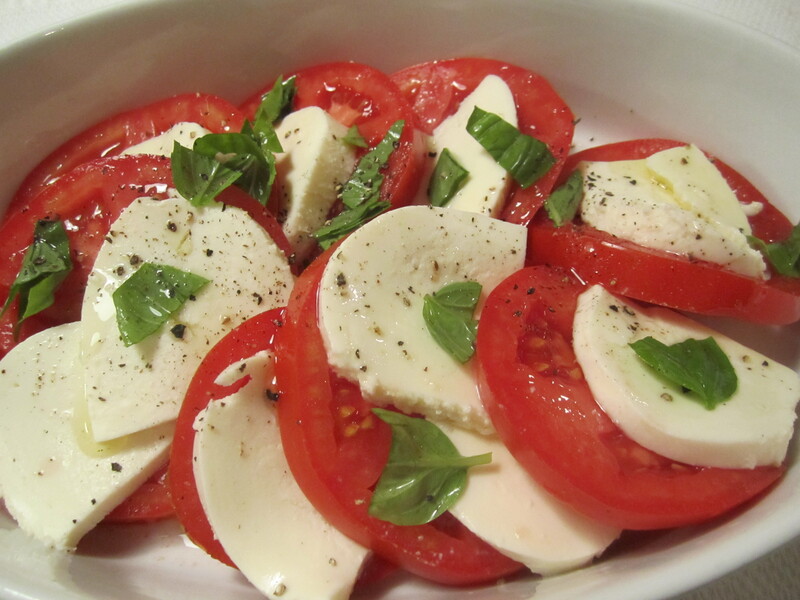 Tonight, our meal began with a simple caprese salad. 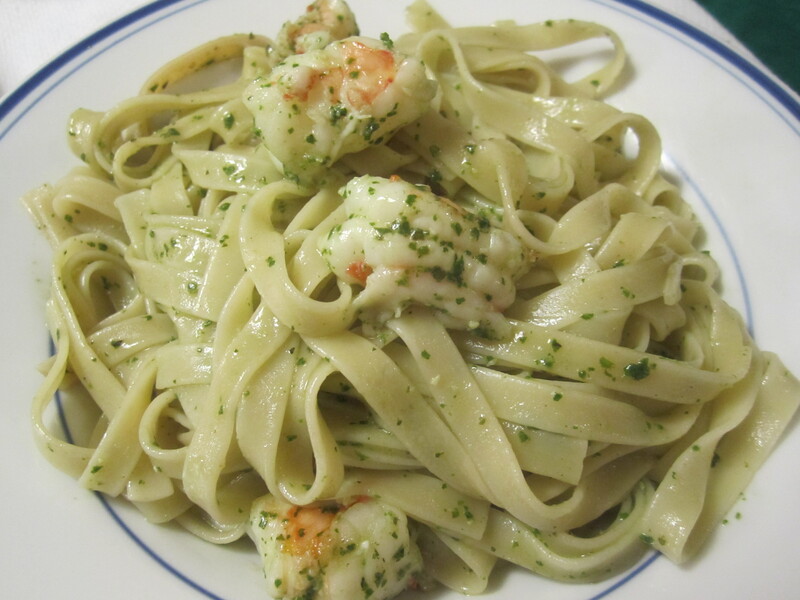 As a main course, we had a summer favorite, pasta with shrimp and pesto. Drop beans in boiling salted water and cook for about 5 minutes, or until crisp-tender. Drain and dress with remaining ingredients. Can be served immediately or the next day, but expect discoloration almost instantly.